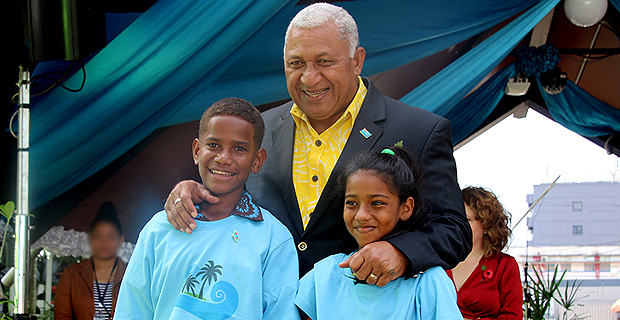 Prime Minister Voreqe Bainimarama has acknowledged the efforts put together by thousands of Fijians which he says had ensured the success of COP23. Bainimarama made this acknowledgment at the launch of the Climate National Day in Sukuna Park this morning. The Prime Minister also highlighted that Fiji will continue to champion the climate change fight saying that he is proud of Fiji being the first Pacific Islands Developing State to chair the Climate negotiation. Bainimarama says that COP23 is really a Fijian success story and despite our political affiliation the Fijian climate fight is something that unites us all. The Prime Minister has also made his assurance that Fiji will maintain its momentum in the global negotiation to reduce greenhouse gas emission by 1.5 degrees and prepare for the implementation of the Paris Agreement.